The zombie genre has been popular for years and it has become even more widespread with hit TV shows like The Walking Dead and Z Nation having huge fan-bases. 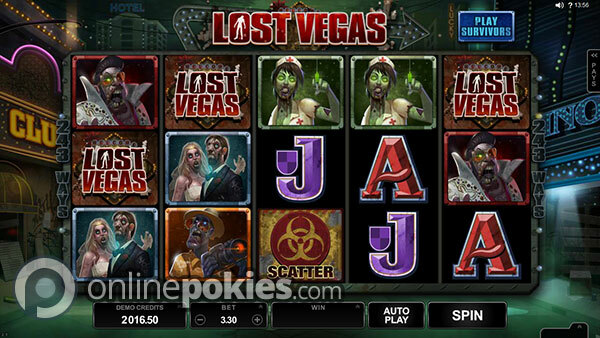 Lost Vegas continues the zombie theme, offers two game modes and features all of the undead action you're looking for. Like most 243 ways games you have a base bet which covers all of the ways. In this case the base bet is 30 credits or 30 cents. You can choose to bet up to 15 credits per way and credit sizes going up to 10c. This makes the min / max bet range between 30c and $45. 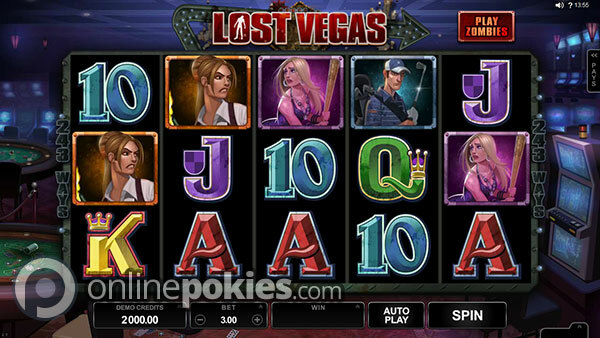 Lost Vegas features two game modes - Zombie or Survivor. 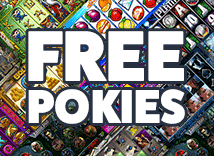 As well as offering different symbols each game mode also offers a different type of free spins. You can toggle between the modes using the button which appears at the top right of the reels. The Lost Vegas logos are wild and substitute for all symbols except the scattered Biohazard symbols. Getting a wild on each of the five reels pays the top way win of 300 credits or 4,500 credits at max bet as well as any other ways wins that the wilds are a part of. 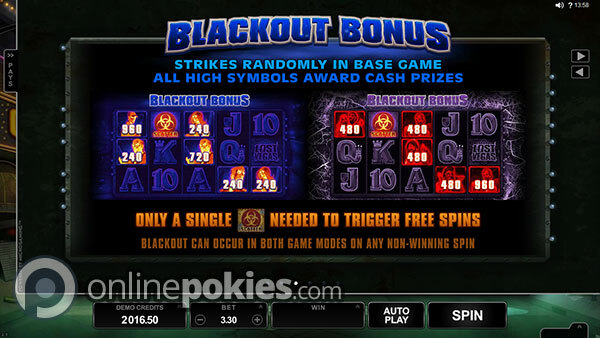 The Blackout bonus can strike at any time during normal play. Once triggered it awards cash wins for all high paying symbols. 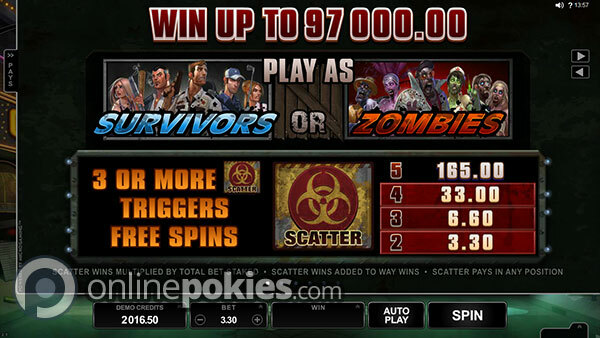 Get lucky and have a Biohazard scatter on the screen when the Blackout bonus is triggered and you win the free spins. The free spins are won by getting three or more of the Biohazard scatters in either game mode or by getting one scatter in the Blackout Bonus. Trigger the free games in Survivor mode and you win free spins with a stash feature. This works by removing any A, K, Q, J or 10 when they appear and each removed symbol adds cash to your stash. The free games continue until all of the royal symbols have been stashed. 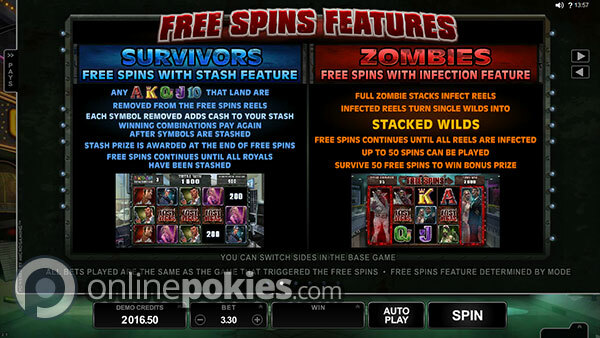 Win the free games while in Zombie mode and you win the Infection free spins. A full stack of zombie symbols on a reel makes that reel infected and turns wilds on that reel into stacked wilds. The feature continues until all reels are infected or until 50 free spins have been played. During regular play you can get an instant random win with the Zombie Fist of Cash feature. On any non winning spin the zombie first can randomly appear and award a cash prize.